Professional Composition and Orchestration is our flagship course for composers looking for a comprehensive preparation for a career scoring film, tv and games. You will learn to work in almost every sector of the media using a range of compositional techniques from live orchestral scoring to sound design and hybrid compositional techniques. Your course includes a live orchestral session with a professional film orchestra. This MFA is in effect a double master’s, lasting two years and covering the same ground as both Professional Media Composition MA and Orchestration for Film Games and Television MA. Have your music performed by a professional 50-piece film orchestra. 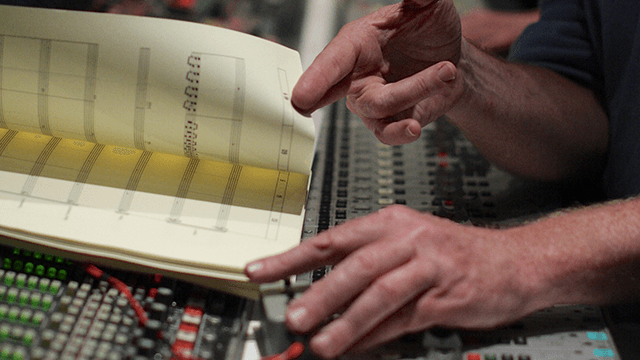 Learn how the biggest names in the business go from computer DAW to live score. Electives in Pro Tools for Film composers, Advanced Sibelius and Kontakt Programming. You will explore many different areas of the media, each of which has specific requirements and expectations. For composers we will help you develop your compositional technique and encourage you to explore a wide range of creative approaches. 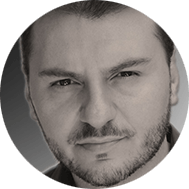 You will learn the technical and creative aspects of writing to picture, spotting a film, and working with hit point and markers. You will orchestrate awe inspiring live and sampled orchestral film and games music and learn contemporary commercial standard practice. Hear first-hand from a ThinkSpace Education postgraduate student. 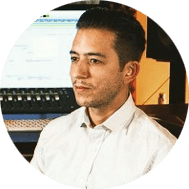 Pete Wiggs is an English musician and DJ and student on the composition and orchestration MFA pathway. Pete talks online study and professional (and creative) development. Students will be well qualified to work in any area of the media music industry but most go on to work as film, tv and games composers. If you are already a working composer, then this is an opportunity to expand your skill set, learn to exploit new markets and to refresh your sound mentored by top flight working professional composers and orchestrators. Many students are teachers and professors and use this course to add professional experience and a deep knowledge of contemporary commercial practice to their skill set. The MFA is considered a terminal degree and may have significant financial and career advantages in higher education. Working with a live orchestra is an unforgettable experience. At the end of your course, some of your music will be performed by a live, professional, 50-piece film orchestra. You are welcome to attend in person or follow the session over the internet. This is included in the price of your course. Sessions take place in Europe (most likely Prague or Budapest) subject to availability. On successful conclusion of your course, you will be awarded a Master of Fine Arts degree from the University of Chichester. 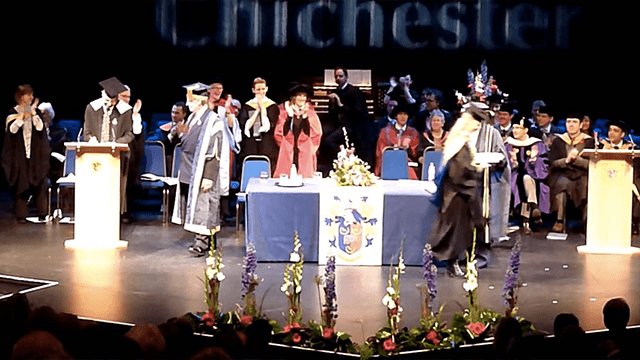 All UK degrees, including those of the University of Chichester, are recognised worldwide. The qualification is fully accredited in the UK and subject to regular quality control, review and external invigilation to ensure the highest academic standards are maintained. Putting all this in context, learning to analyse how and why music is used. Learn research skills and understand where media music fits into a wider cultural and academic landscape. The technical and creative tools to score film, tv, documentary, animation and much more. Crucial insights into the role of music and it’s relation to the moving image. Choose from Advanced Sibelius, Pro Tools for Orchestral Recording, Kontakt Programming, Music Business: Work and Money and Sampling Technology. Producing industry standard scores and parts and record-ready pro tools sessions. Producing one cue from start to finish including mock-up, score, parts and pro tools session. This is the complete workflow in preparation for your Final Major Project. This three month project involves composing and orchestrating 15 minutes of music to picture under real-world conditions. You will be required to produce record-ready scores, parts and pro tools sessions as well as a professional grade sampled mock-up of your work. There are a very wide selection of projects to choose from and students can put together several in the form of a portfolio or tackle one longer assignment. We expect you to have a good, solid knowledge of DAW, such as Logic or Cubase. You should have a well-established knowledge of music theory, written notation and harmony. You may be asked to complete a short music theory test upon application. You need to write music fluently and productively. You should be able to produce roughly two minutes of music in a day. Your demos should be of good quality and we are happy to listen to your music and give you an opinion on this before you apply.